Meltfactory is a global consulting community of blockchain experts, business leaders and technology builders. We architect, incubate and develop our clients’ blockchain ventures in order to decentralize networks, transform organizations and disrupt industries. securing investment with compelling investment pitch decks and novel utility / equity / multi-token funding models. Fair profit- a fair exchange for increased value but avoiding monopolistic rent extraction. Investable- reward for founders and to incentivise investment. Optimally decentralized- across 13 dimensions to ensure best UX and system functionality and in order to drive user adoption and business scale. We combine proven gamification and loyalty mechanics with cryptoeconomic mechanism design to architect high-growth, token-powered platforms. 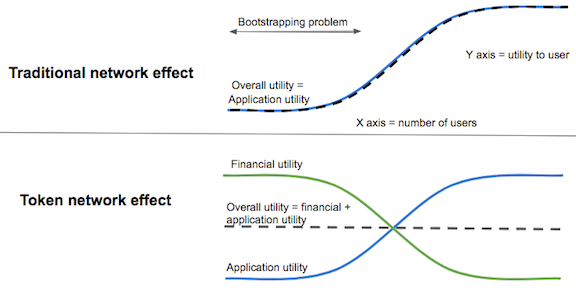 An example mechanism is rewarding early users in order to overcome the bootstrapping problem of traditional network-effects business models. The ICO bubble of 2017 has burst, with ICO funds crashing by 90% yoy in Q4 2018. As a consequence blockchain projects are struggling to find investment using now traditional ICO funding models. Meltfactory is at the forefront of research into crypto funding models. We research funding models for our venture clients and investment theses with VCs and economists. The framework predicts a 2019 recovery and a “golden age” of growth. We agree with Carlota Perez and leading VCs that now is the best time to invest in the blockchain technological revolution. With the speculative frenzy over, investors are once again investing in business fundamentals, this was the same phase when Amazon and Google were formed and it is our opinion that this is the phase when the next unicorns will emerge. Our CEO & Founder, Justin Banon, has developed a thesis that: Crypto is an socio-technological meta-innovation on the scale of writing, the scientific method and markets. The scientific method created an explosion in human knowledge and accelerated the clock speed of technological progress. In combination with joint stock companies and financial markets, science-fuelled technology spurred the formation of the modern, capitalist economic order and drove exponential growth in economic complexity and wealth. And all this through accelerating the process of innovation: the commercialisation of invention. Hacker Noon/The nature of the crypto technological revolution: what it is and what it means for the future of humanity. Please use the form below to contact us regarding your query. Please briefly describe the nature of your business and the type of help you require. We will respond within 24 hours.